Summary: (from my library catalog) When Possum’s brush pile washes away in a storm, his neighbors all help build a new home based on their own abilities and preferences. I like this book because: Ever since I was very little I have enjoyed watching thunderstorms, especially in late spring when the slate gray sky can make green foliage sing! 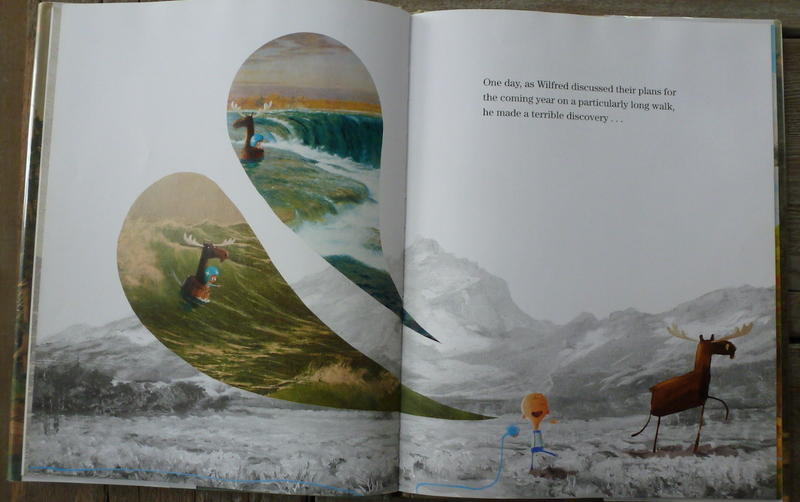 The illustrations and color choices bring just such a storm right into your reader’s lap! 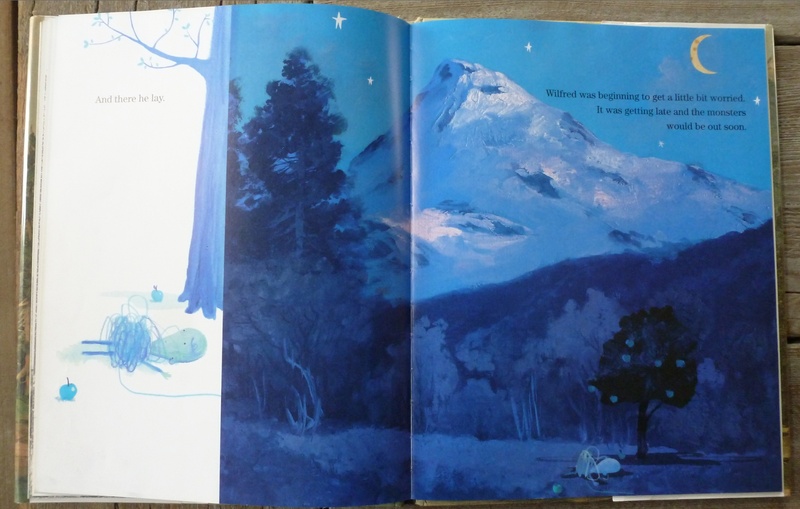 Note the perfect shade of thunderstorm-blue chosen for the endpapers – scrumptious! You’ll want to get out as soon as the rain clears to assess for damages and explore other creature’s habitats yourself. Resources: read other books about how animals build their dwellings; read MY favorite book about friendship in a storm HERE; find a safe spot to observe a thunderstorm, like a covered front porch – see the recent hail storm and flooding I observed below. And one I created myself! 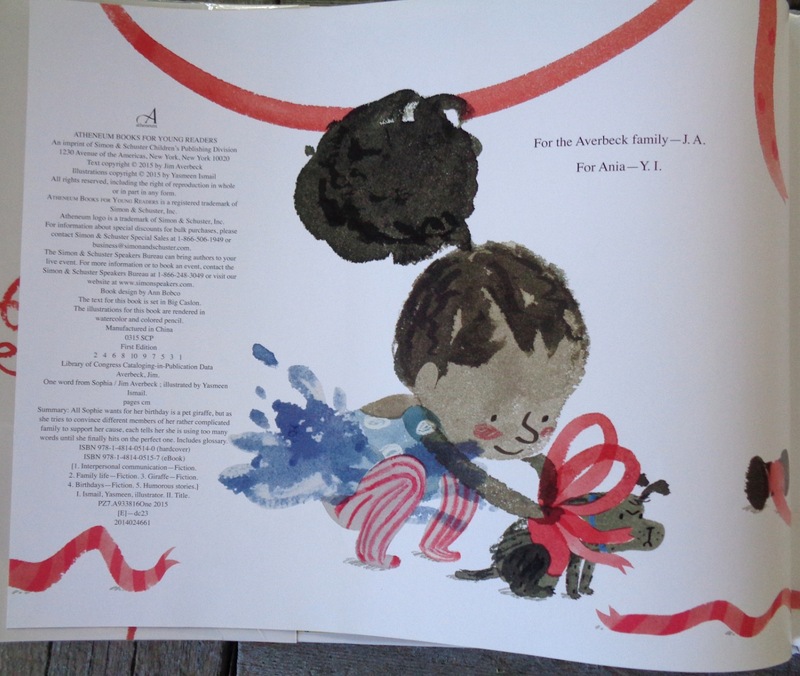 For more Perfect Picture Book Friday picks with teacher/parent resources, check out the list on Susanna Hill’s blog HERE. In honor of Women’s History Month I will be focussing on outstanding female authors and/or illustrators. Opening: Nothing can move me. Not the wind. Not time. Summary: (from my library catalog) Petra is a little rock who believes she is a mighty mountain… until a dog fetches her for its owner, and she is tossed into a bird’s nest. A mountain? No, Petra is now an egg! An egg of the world in a world of possibility. Why I like this book: Beautifully understated illustrations tell a slightly snarky story of confidence tested, a favorite theme of mine. My storytime gang at the bookstore picked it up right off the bat as they walked in. I think that says a lot! Trust the kids, and you might hug it too! Resources/Activities: Find a smooth rock to paint; keep it for a pet or give it to someone for their garden or as a paper weight; Learn about the different kids of rocks; play tic-tac-toe with rocks and sticks in the dirt or sand. Opening: Moví la mano y encontré u coco. I moved my hand and I found a coconut. Summary: (from my library catalog)When a little girl moves her hand, she changes the world as she discovers it. As she moves her known world, she discovers her own power and creates everything anew. The poem, written by Argentine poet Jorge Luján, comes from a culture saturated with magic, in which even the very young can make the world by reaching out and moving it. 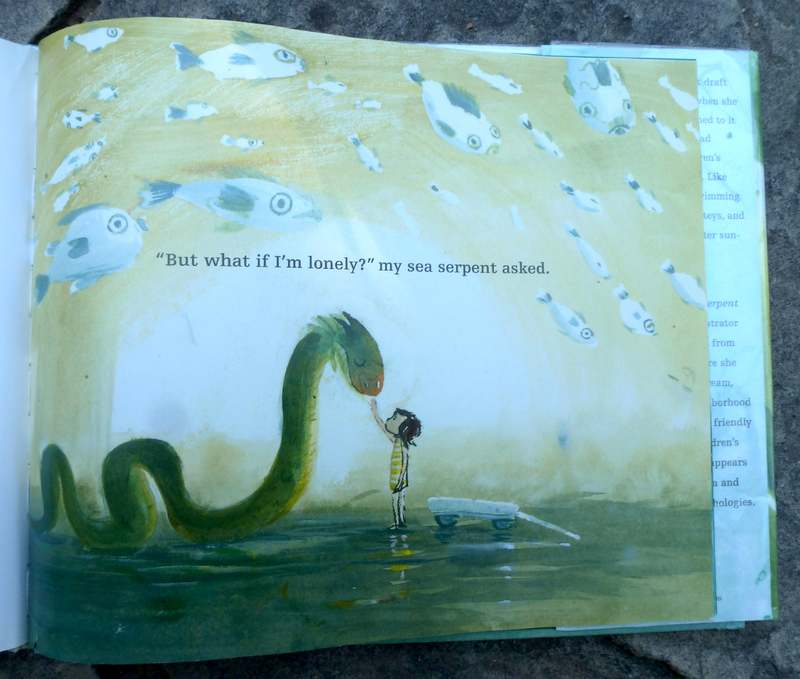 Mandana Sadat’s imaginative illustrations deepen and enrich the text. I like this book because: I just spoke with a friend about how we need to keep in mind the ripple effect of our own choices on the rest of the world. This is the perfect compliment to that conversation in a world saturated with bad news, and hopefully an inspiration and reminder to send positive ripples out to affect others in a positive way. Resources/Activities: Do something for nothing! Get inspired by Joshua Coombes, StreetVet (image below), refuaid, or others near you! 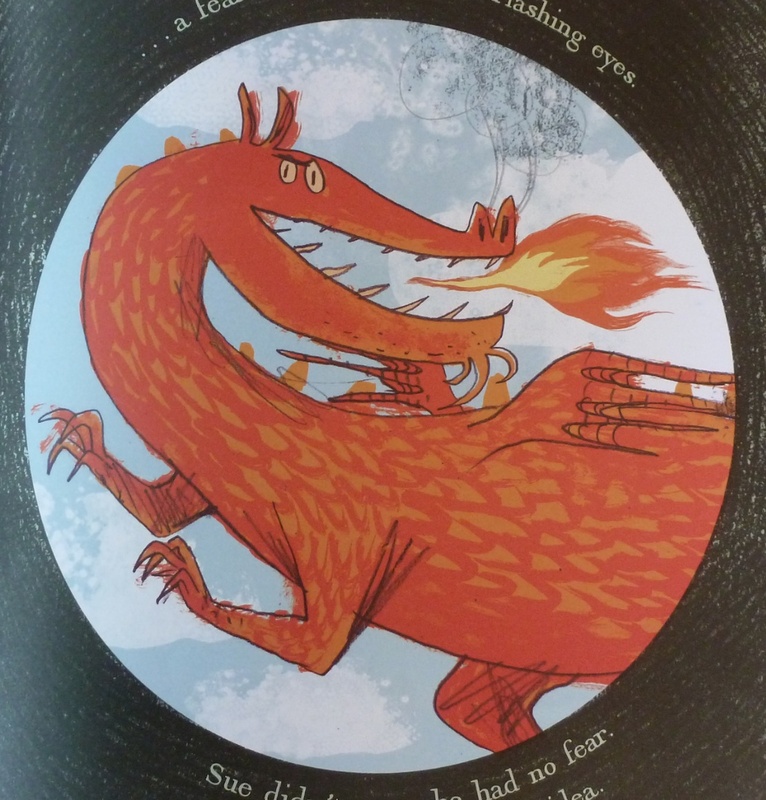 The PPBF series on Susanna Hill’s blog is still snoring the summer away, but I must share Perfect Picture Books as I come across them, at least on Fridays! Opening: Sophia’s birthday was coming up, and she had five things on her mind – One True Desire and four problems. 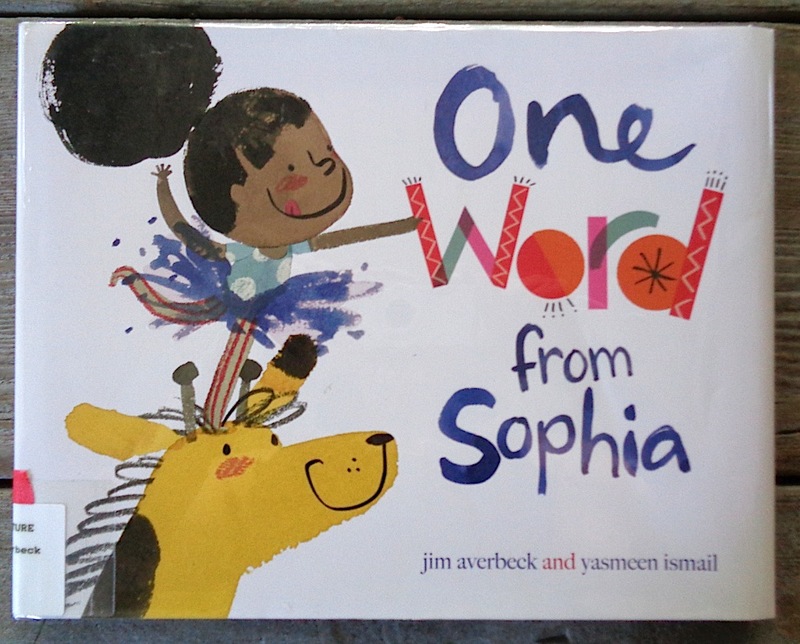 Summary: (from my library catalog)All Sophie wants for her birthday is a pet giraffe, but as she tries to convince different members of her rather complicated family to support her cause, each tells her she is using too many words until she finally hits on the perfectone. Includes glossary. 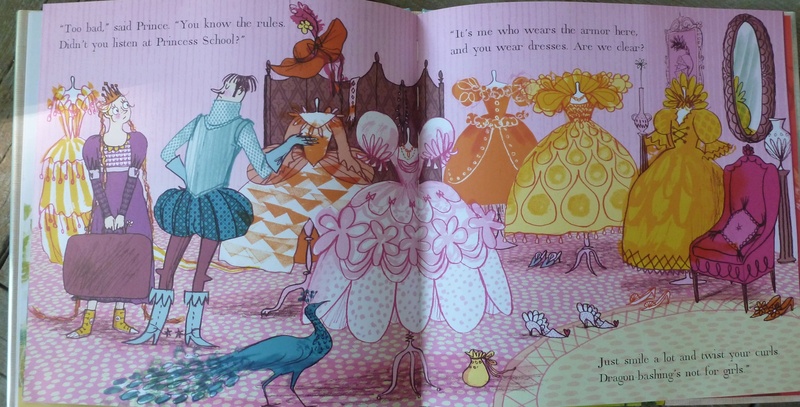 I like this book because: of big words and nimble, fluid illustrations! This may be a challenge for younger ears, but go ahead and challenge them! 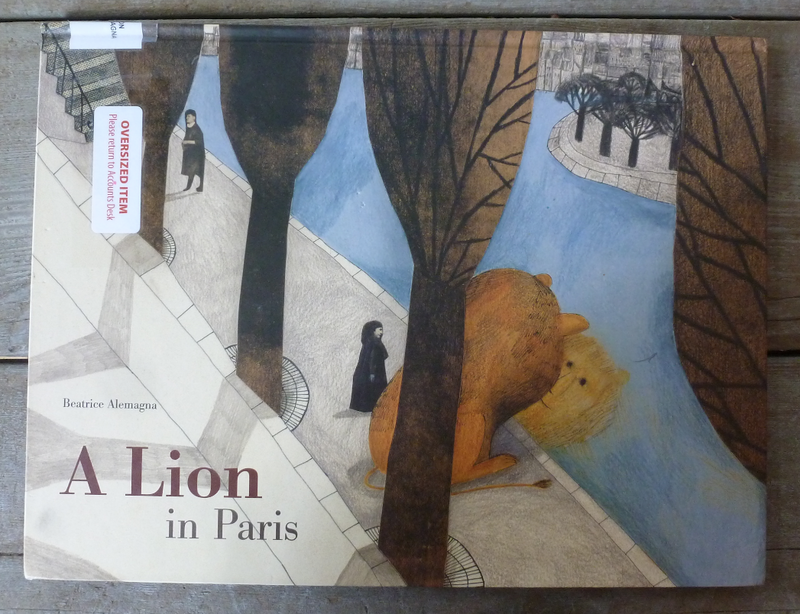 The text is dense and deep and the light and elegant illustrations compliment perfectly! SteigFEST 14: Happy birthday, Bill! Thanks for joining me in this fourteen-day long celebration! I’ve taken the liberty of wishing Bill a happy birthday – I never met him, but I hear that’s what he liked to be called by friends, and, well, it’s his birthday! I like this book because: What could be more fun for kids than to get ugly, then uglier, mean then meaner along with horrific creatures and to have it all consume itself? 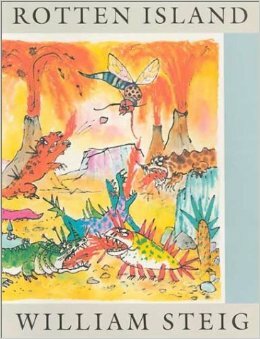 I think this book in particular demonstrates well how Steig fed the child within himself and without letting his adult brain lead, wrote a story for adults. Enough, just go read it! 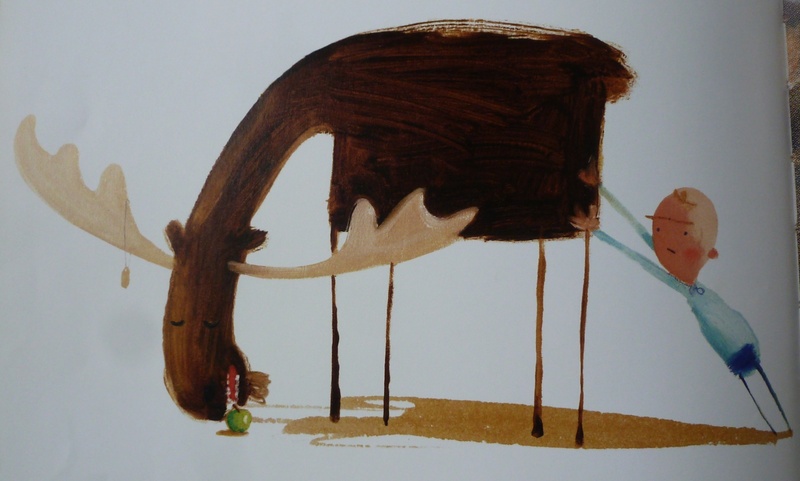 I hope you’ve already hit your libraries and your local independent booksellers in search of some of the titles shared during SteigFEST, but I have ONE REMINDER: savor them slowly, like chocolate (which Steig loved – actually, all sweets! 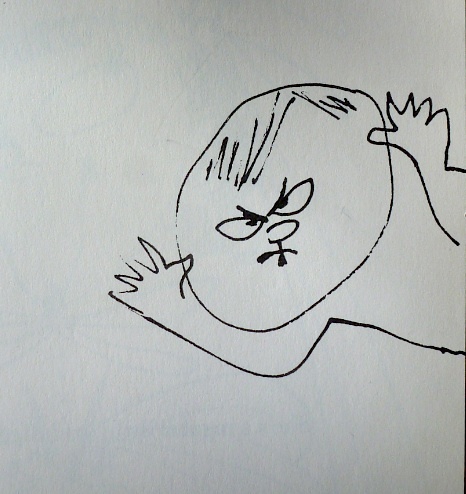 ), taking note of Steig’s shaping of beautiful phrases. And when you find a delectable mouthful (you MUST read Steig aloud) share it! 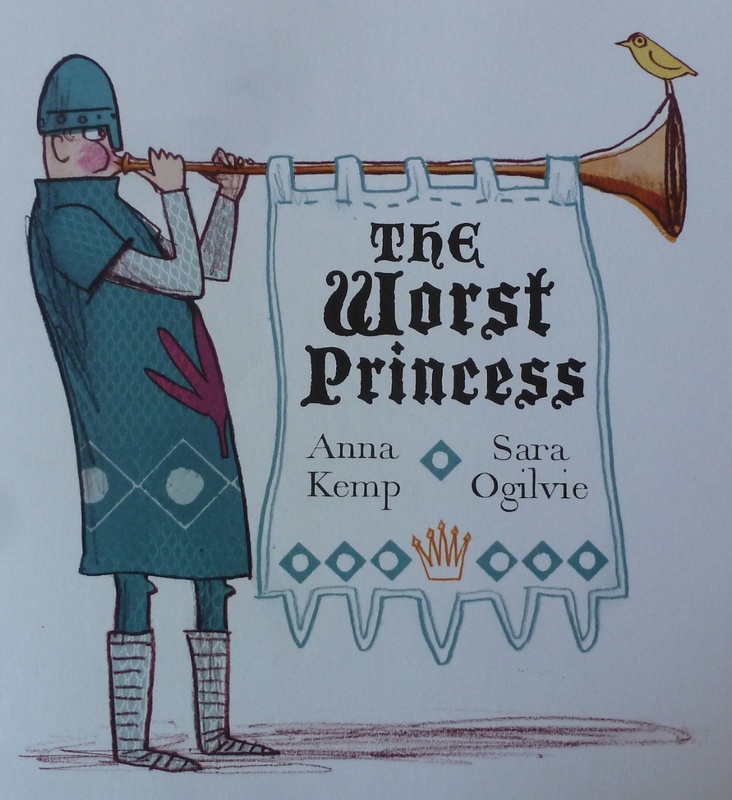 Opening: Once upon a time, in a tower near you, lived a lonely princess – the Princess Sue. 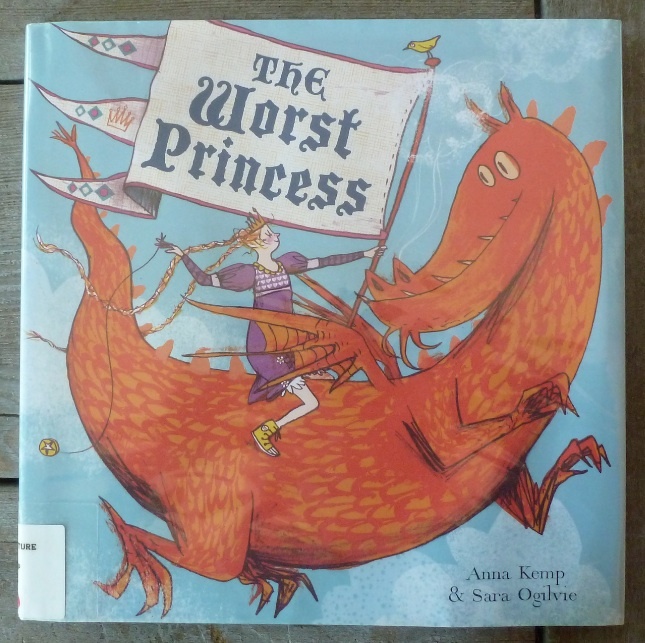 Summary: (from my library catalog) Lonely Princess Sue longs to leave her castle tower, but when her prince finally rescues her, she realizes she is destined for a less traditional partner. I like this book because: first of all, I love how the opening line tells us we’re in for some great humor! 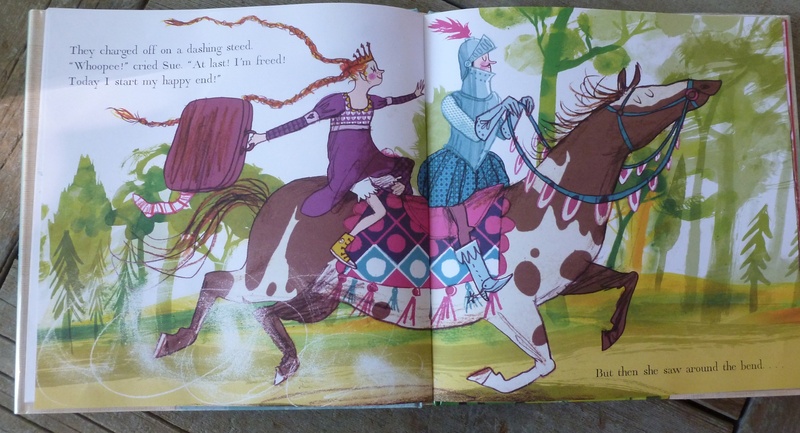 The rhyme frolics sprightly without hurrying – and gosh, who can resist a princess in chucks intent on adventure? And for those who know me, the ART! 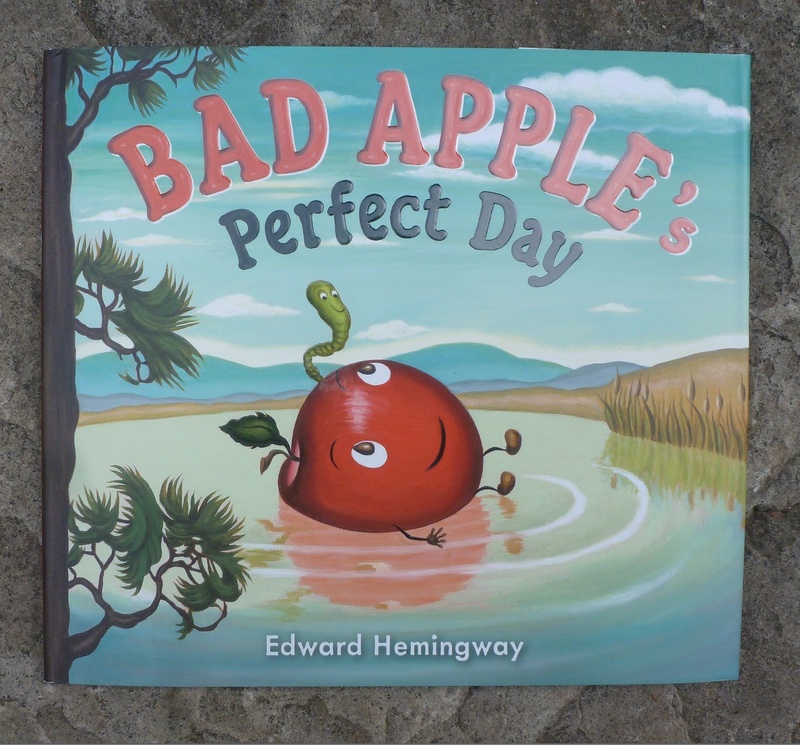 PPBF: Bad Apple’s Perfect Day and a GIVEAWAY! BONUS! 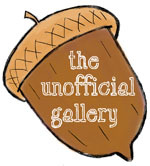 Interview with the author/illustrator below! Opening: The sun was rising. The crickets were chirping. And Mac and Will were getting ready for the perfect day. Summary: (from the publisher) Mac the apple and Will the worm set out for a perfect day at the watering hole, and although little goes as they plan, friendship, imagination,and a sense of fun make everything turn out fine. I like this book because: these two charming buds are back with a sequel (Check out my recommendation HERE). 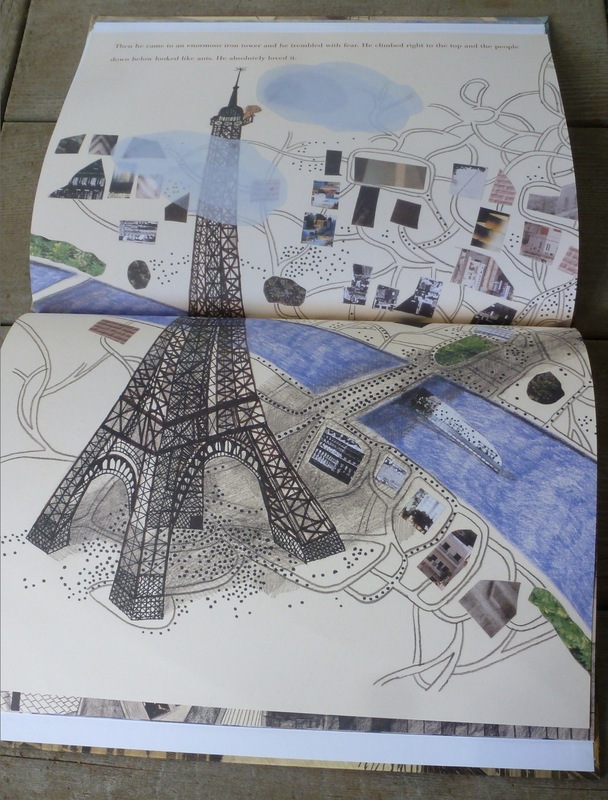 I am crazy for the end papers in this one (above), and for the color palette – simply sumptuous! The story promotes all my favorite things: creativity, imagination, story-telling and looking on the bright side of a rainy day. Living in Colorado I actually miss rain (yep!) but this year has been the moistest in the 16yrs I’ve been here. Still, there is nothing like a slate colored sky against green leaves – and apples if you’re lucky! JRZ: I’m going to skip the proverbial ‘what comes first for you as an author-illustrator’ question (unless you’d really like to answer that! ), but would you share a bit of how Bad Apple came to be? EH: I tend to come up with simple ideas/ titles first, and with Bad Apple it was no different. I was trying to convince my friend Brian Floca to come out to an orchard with me and my friend Sara Varon. I told him, “It could be inspirational. You could write a book about the tractors on the orchard, Sara could write a book about the goats, and I could write a book about a…bad apple.” It just came to me like that, and then I said to myself, hey, that’s not a bad idea. Then I started to think about what a “bad apple” could be. I decided it didn’t have to be bad, just misunderstood, and the story flowed from there. JRZ: Do you use critique partners for your manuscript drafts, illustrations or initial ideas? EH: Yes. It’s important to have artists and readers in your life with a critical eye, who aren’t afraid to give you honest, constructive criticism. I also like to put work away and come back to it after a week or so and approach it fresh. JRZ: As you like to paint in oils, how difficult is it if there is an editorial change? JRZ: Would you share one piece of advice you have received on your journey that stands out? EH: ALWAYS be working on your NEXT project. Thanks Maira Kalman for giving me that advice! JRZ: Is there something else that you do, a hobby perhaps, that you feel influences your writing or illustrating? EH: I love reading and going to films, what better way is there to hone one’s own storywriting skills than by appreciating others? AND we’ve got THREE copies of Bad Apple’s Perfect Day(courtesy of G.P. Putnam’s Sons) for a GIVEAWAY! Please comment below with your full name – by 12pmMST on Sept.18th – to enter. I’ll have a random couch potato teen – with earbuds – pick 3 names from a hat (rest assured, full attention will NOT be paid to the picking!) and reveal the winners next Friday, Sept.19th. 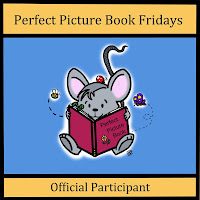 Perfect Picture Book Friday is BACK! 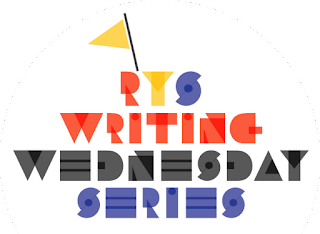 There are still plenty of selections on a themed and alphabetized list, each with teacher/parent resources, on Susanna Hill’s blog HERE. Opening: Wilfred owned a moose. 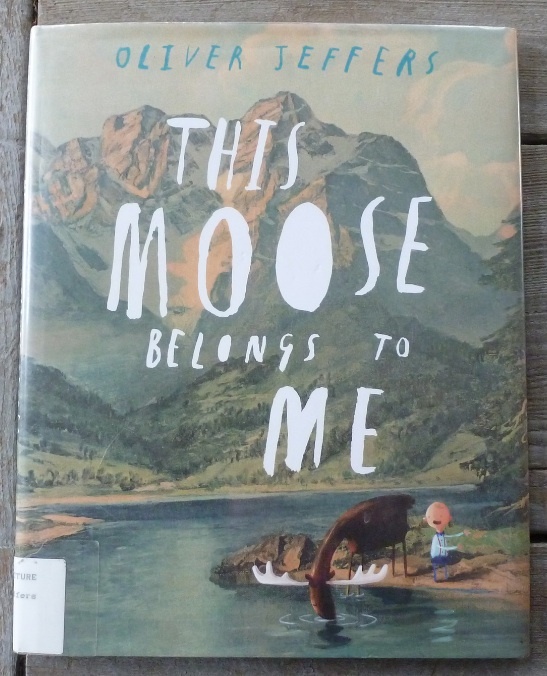 Summary: (from my library catalog) A young boy learns that moose do not always follow the rules of proper pet behavior. I like this book because: it got me. Some books just do that. 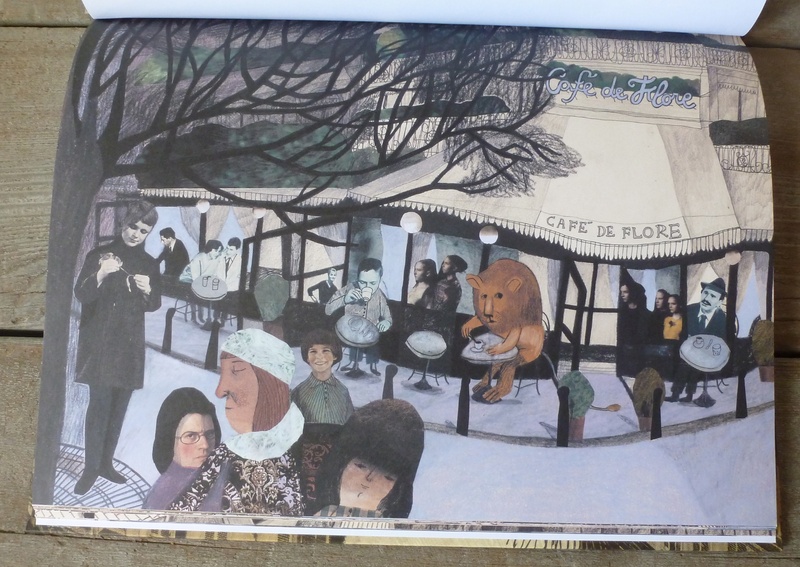 Was it the wry humor, the fun character drawings, the use of existing landscape art in collage? Can’t quite pinpoint, but I keep coming back to this book. 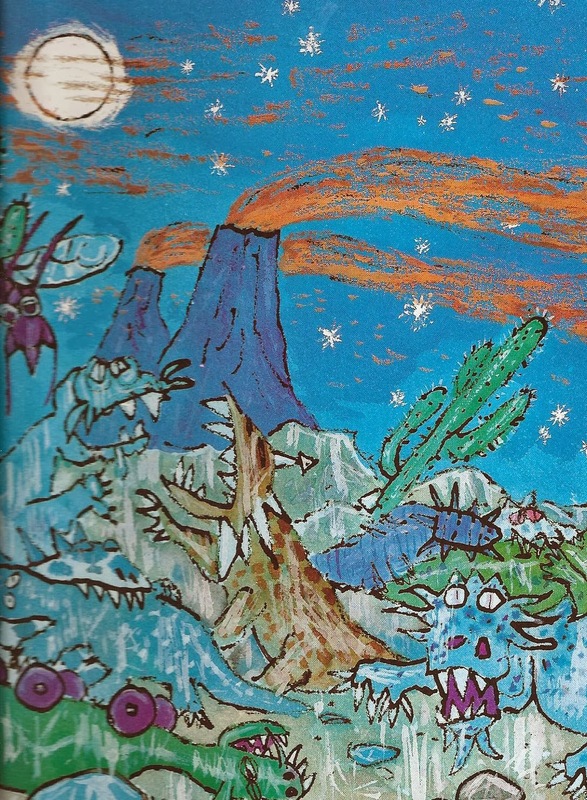 Resources/activities: ask students what makes a suitable pet and discuss why some don’t; make collages with magazine pages of landscapes and drawn characters placed in them. 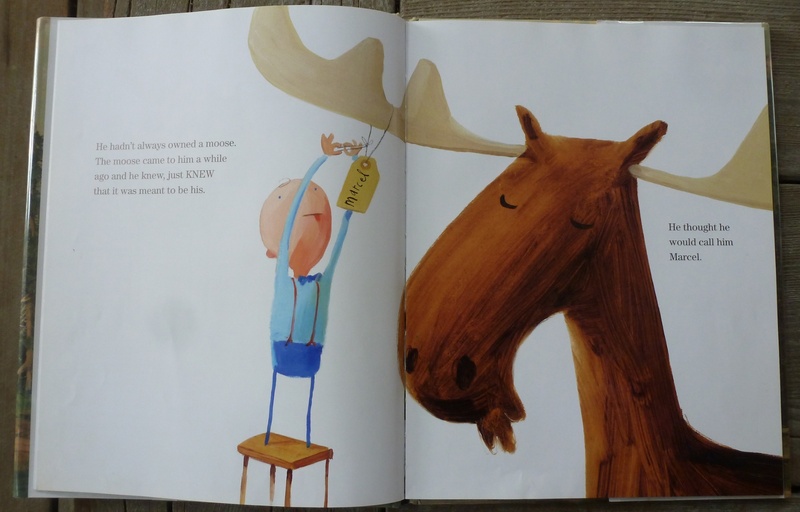 For a GREAT poem, in a GREAT new series from Penny Parker Klostermann, AND a moose – click HERE! 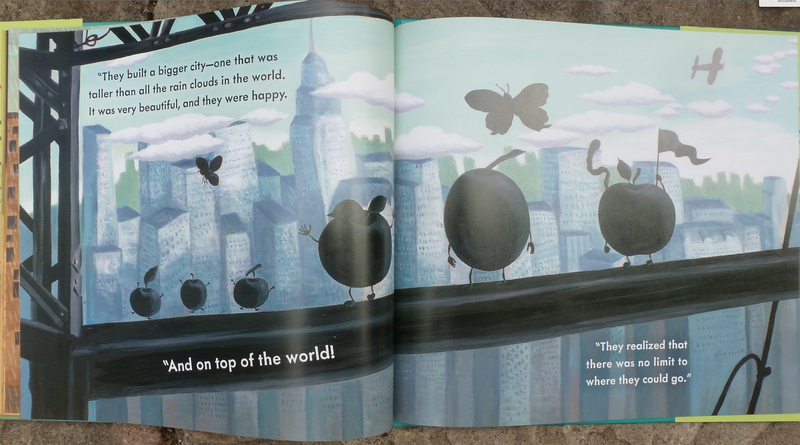 Perfect Picture Book Friday is still on hiatus for the summer (back next week! Come back for a GIVEAWAY! ), but there are still plenty of selections on a themed and alphabetized list, each with teacher/parent resources, on Susanna Hill’s blog HERE. Opening: He was a big lion. A young, curious and lonely lion. 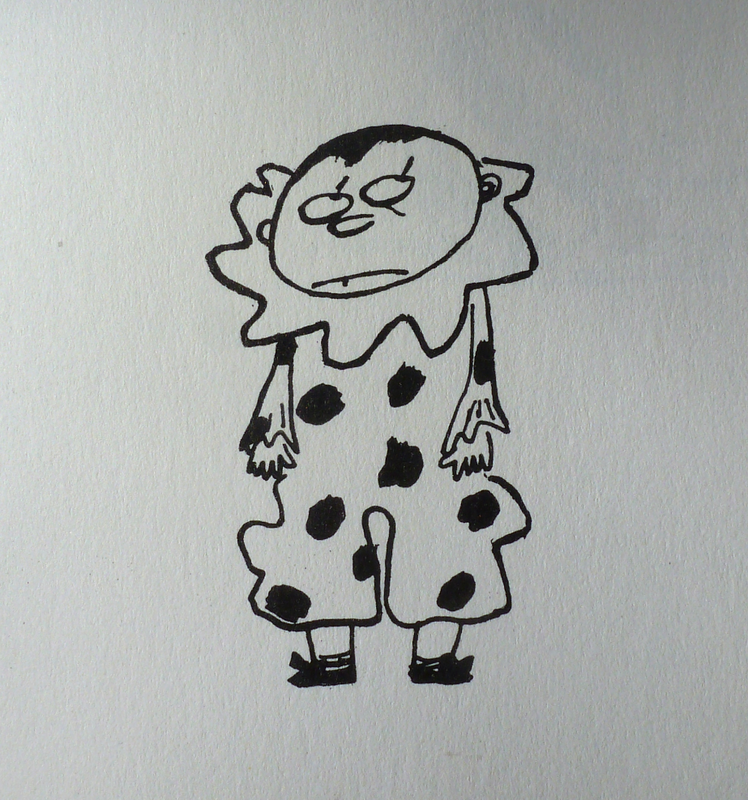 He was bored at home on the grasslands, and so one day he set off to find a job, love and a future. I like this book because: of the art. Hands down. Don’t get me wrong, I enjoyed the story, but I almost feel the words were superflous. 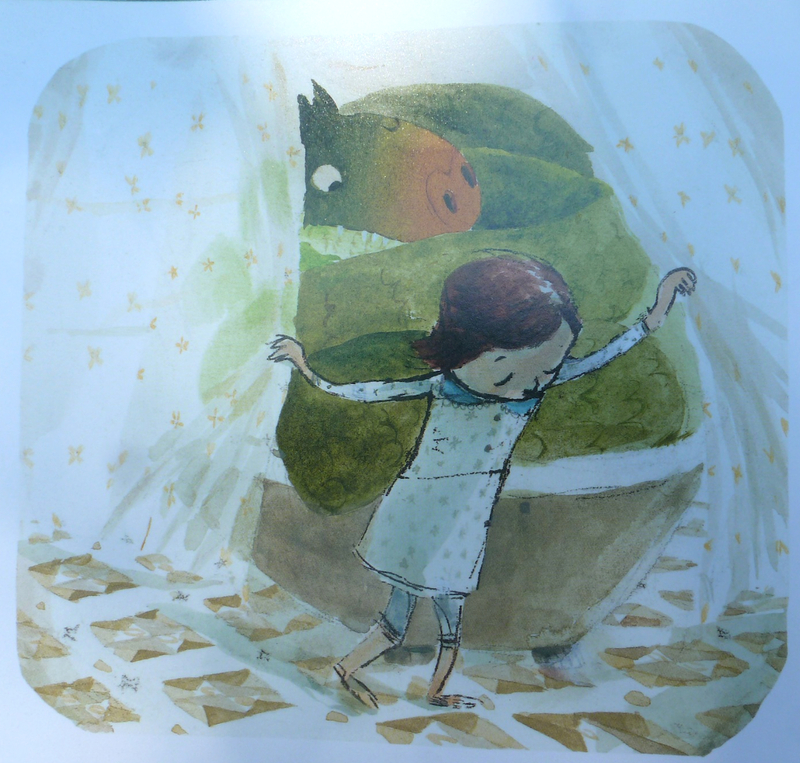 The art is so powerful, so full of energy, whimsy and detail (deserving of the thick paper used in the making) and left me thinking about them all day. I am so glad the size (15 x 11.3 inches) is large enough to accommodate, and I wonder if the the vertical opening was necessary for the image below, but having neck and shoulder problems I would have appreciated a horizontal format (selfish!). This is a must-read for all budding artists! Resources/activities: learn about a local statue in your town/city and it’s history; create stories for statues about how they might have found their resting spot; make pap-mâché statues after watching a tutorial – HERE. 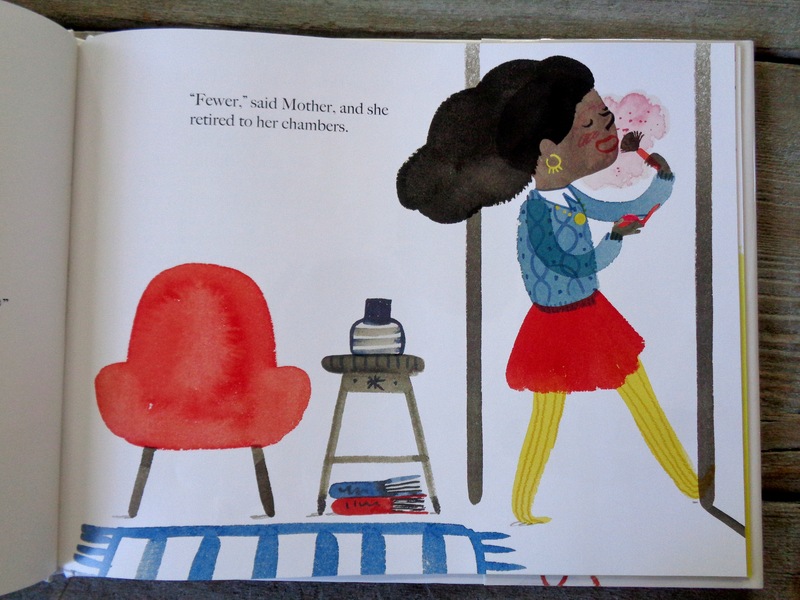 Perfect Picture Book Friday is still on hiatus for the summer (back in 2 weeks! ), but there are still plenty of selections on a themed and alphabetized list, each with teacher/parent resources, on Susanna Hill’s blog HERE. Opening: On Tuesday, as I was about to climb into the bath, a sea serpent dropped out of the faucet and into the tub. 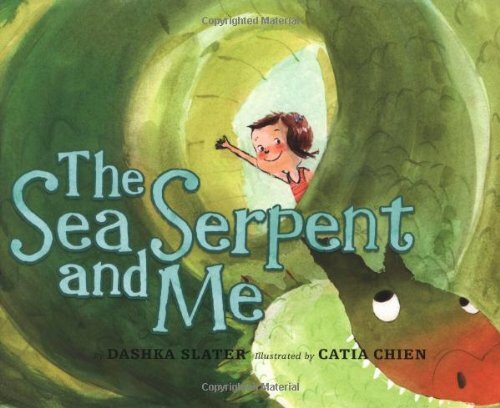 Summary: (from my library catalog) One day a small sea serpent falls from the faucet into the tub as a child is about to take a bath, and as the days go by and the serpent grows, they both realize that he needs to go back to the sea where he belongs. I like this book because: the story reminds me of childhood dreams of just such an experience (who am I kidding – still hoping! ), written simply and beautifully – “the clouds drifted over green jungles and silvery cities…” – yet the undertone is exciting with an anxious pull. 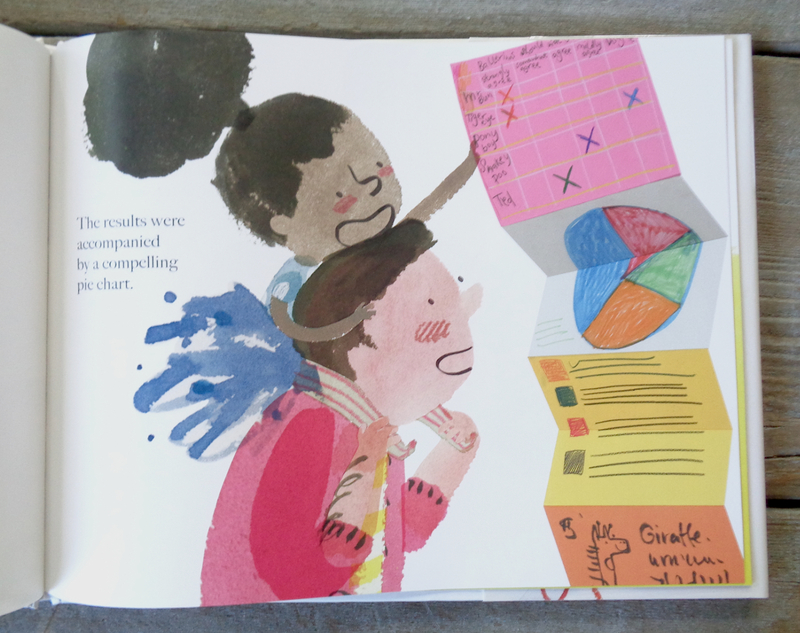 The illustrations are flowing, loose yet captivating, as you can see – and believe it or not, I did not post the best spreads – you’ll have to check them out yourself! Resources/activities: I will forever appreciate how a friend of the family, Risa, taught me to appreciate the smallest of creatures, not to be frightened when they take interest in my personal space, but to help them find a way to a more suitable environment – for us both! Discuss the natural habitats of creatures and why it is important to respect them; Create an inviting habitat: plant flowers and shrubbery for butterflies, bees, and other wildlife in your back yard, or school grounds; Take a field trip to the beach, the woods, or a stream – pick up plastic rings, bottles, and other trash that can kill birds, turtles, dolphins, and other animals.